M4 needs to be urgently restored back to it's previous state. Sentries deal 400% increased damage and cast Elemental Arrow, Chakram, Impale, Multishot, and Cluster Arrow when you do . 1) Since Marauder set was introduced, the concept and philosophy of this set is based on sentries that wreak havoc and damage. 3) Since the change of M4 mechanic in 2.1.2 patch (2 years plus), sentries no longer fired hatred spenders automatically and they only fired every time you do. Passive playstyle has forever gone away. I do not understand developer and certain players choose to ignore this fact and still mention this in year 2017. The N6/M4 Sentries build can encourage a playstyle where your Sentries do the bulk of the damage. We've had this playstyle before with a previous iteration of M6, and Demon Hunters would just lay down their Sentries, then hide in a corner to shoot. This is less than ideal. Even in this N6M4 hybrid build, you are not hiding. You need to actively fire to reduce the rain of vengeance(RoV) cool down (N2), cast RoV to get N6 effect and you also have to actively fire hatred skills to trigger sentries (M4) firing. I don't see any passive elements here. 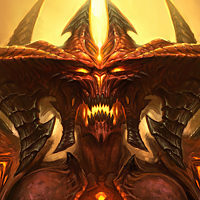 4) In 2.1.2 patch, the developer clearly stated in the Philosophy note: These changes are intended to shift a large portion of the damage from the Sentries to the Demon Hunter in order to promote more active gameplay. These changes should be a slight net increase in power once you become accustomed to the new playstyle. 5) Although large portion of damage is shifted from sentries to player, sentries are still dealing significant damage but lower than player and sentries never become decorations. In current 2.6.0 patch in a standard marauder build (6 pieces marauder armors + bombardier quiver (100% sentry damage) + custom engineering passive, the player is dealing 55% damage while sentries are dealing 45% of damage. In early PTR 2.6.1, player deal 68% damage while sentries deal 32% damage. 6) However in the latest PTR 2.6.1 after M4 nerf, player deal 86% damage while sentries deal 14% damage only or 1 sentry deal 3% damage. Thanks for all the great feedback and discussion. For the next PTR patch, we will be reverting the change where N6 does not affect Sentries. Instead, we are going to try lowering the M4 damage bonus and increasing the M6 damage bonus to compensate. Thanks again for all the discussion and have a great weekend! Moreover, many legendary items do not have effects on sentries. This include hellcat, Augustine panacea ( https://us.battle.net/forums/en/d3/topic/20753365785#post-1 ), holy point shot and buriza. In reality, the sentries deal insignificant damage like <5% or 1 sentry deal <1% damage. This make the M4 bonus and the 100% sentry damage of bombardier become useless and sentries are indeed decorations. The latest change in PTR has destroyed the philosophy of sentries and marauder set. I strongly urge the developer to un-nerf M4 and enable legendary effects of hellcat, Augustine panacea, Buriza and holy point shot on sentries. The objective is to create a M6 build where sentries are able to contribute damage and not merely decorations. Please support this campaign by putting #Un-NerfM4 at the bottom everytime you post. Thank you. We will be bringing M4 back to 400% in the next PTR Patch. We are currently scheduling that patch for next Wednesday, some time after 2PM. Subject to change, of course.